For the past several years, I have been an avid photographer, and have taken many photos close to home and around the world. While hardly a professional, I have been told I have a god sense of balance and composition. Lately I’ve been leaving my camera at home and mostly using my iPhone to take photos, and sharing these on Instagram and Facebook. (Please see my post from mid June of this year about my feelings about photography.) So here on my blog, I am sharing some of my favourite photographs from the past few years. If you’re interested in any of them and would like a signed copy, please contact me and we will work something out. 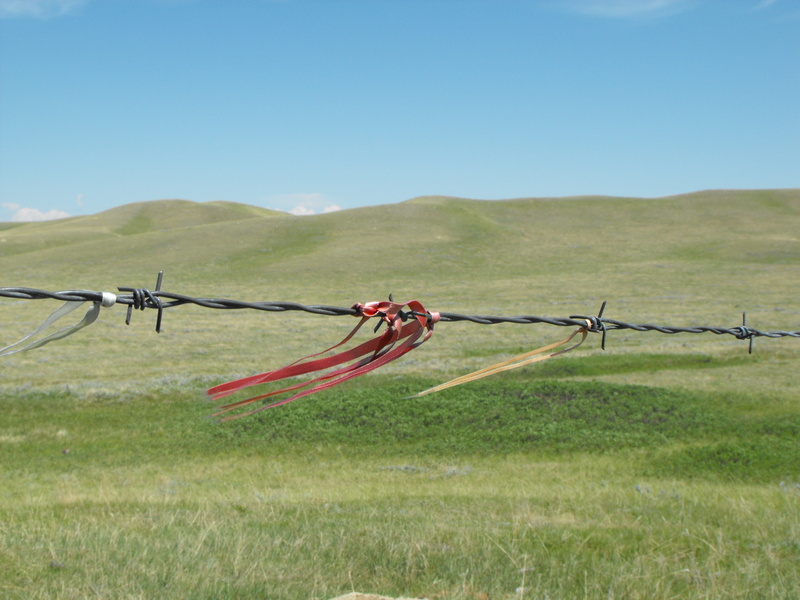 Ribbons on barbed wire north of the Cypress Hill in Saskatchewan. The ribbons are tied there so the horses will be able to see the wire and not cut their necks. 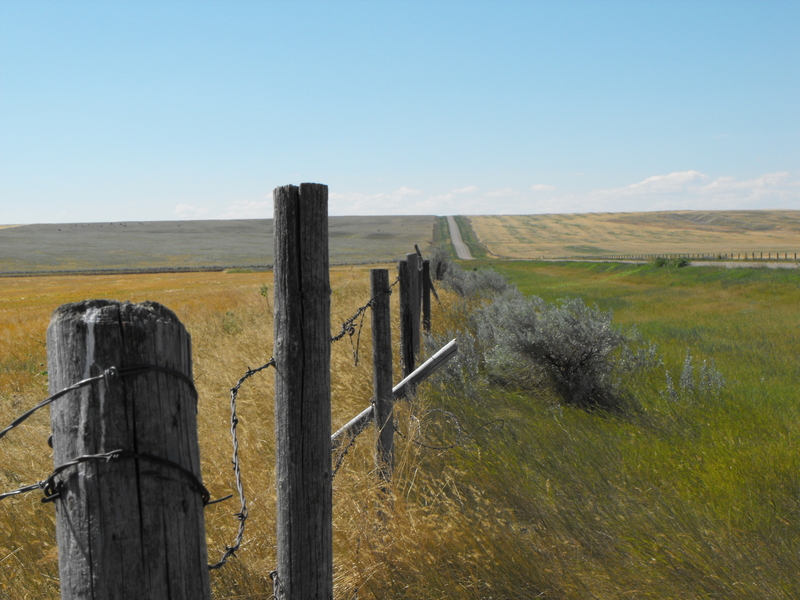 This was taken at the Saskatchewan/Alberta border, looking south so the yellow field is in Saskatchewan and the green one in Alberta. 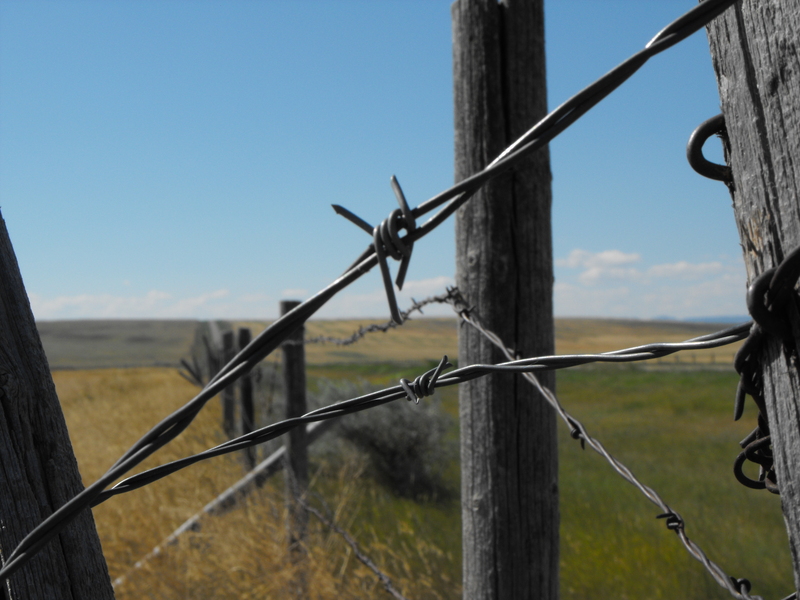 I love barbed wire as a subject, both dramatically and photographically. Did you ever retrieve your sax? You may not remember me. I listed your rental home in Bankview many years ago. I am still in real estate but have to thank you for igniting the spark to write. I am working on two books at this time and would be honored to be informed of any of your lectures and classes. I think the world of you. I always remember how gracious you were to deal with and you daughter posting hand drawn pictures of herself being a model. Thank you for being a changing inspiration in my life. Wow. Who knew? That’s very kind of you to say, but I’m thrilled to learn I might have made a difference in your life. Want to go for a coffee sometime? I have a rather strange question to ask . . . do you still have my saxophone?